Pallet delivery to Slovakia has never been as easy as it is with National Pallets. Whether it’s simply a few boxes or a large piece of machinery, we can provide you with a safe and secure pallet delivery service to and from Slovakia. 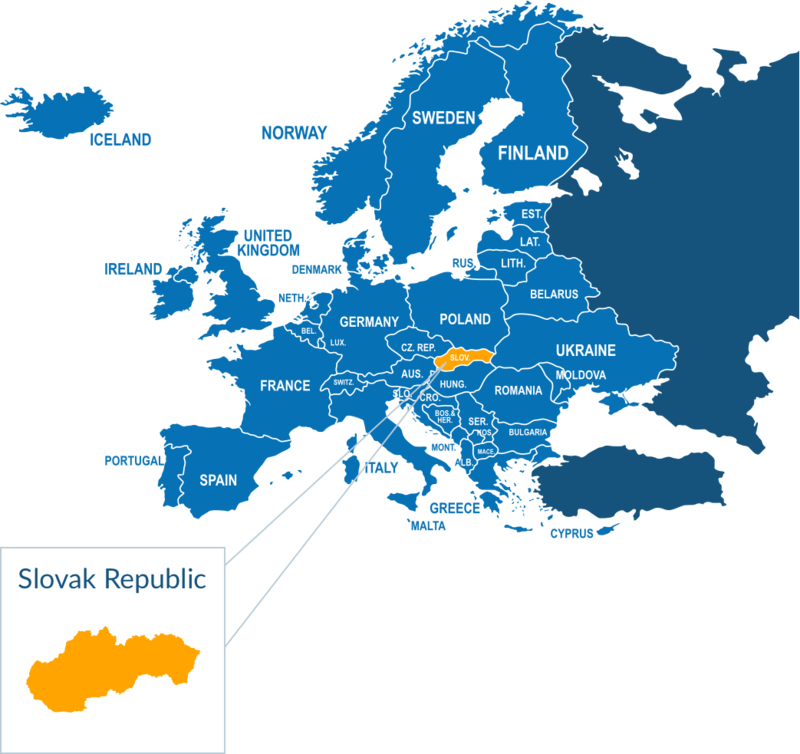 Slovakia is a fairly small republic in Central Europe, with a population over just over 5.4 million. It is surrounded by Poland, Hungary, Austria and the Czech Republic, have a strong trade partnership with all these countries including the UK. The main items Slovakia export are machinery, electrical equipment, base metals and Chemicals. The capital of Slovakia is Bratislava. As part of the UK's largest pallet network, you can rely on a safe, secure and reliable service to and from Slovakia every time. Through our consignment tracking facility, you can monitor your pallet from when it's collected to the moment it's delivered, and we'll even send you an email informing you when pallet delivery has been made. Be sure to check out all our pallet delivery services and cheap delivery prices - simply request a free instant online pallet quote by using the quick quote option on the right and send a pallet to Slovakia today! No. As Slovakia is a member of the European Union, you don’t need to worry about dealing with international customs when shipping your pallet. How much does it cost to send a pallet to the Slovak Republic from the UK? You can send a standard quarter pallet (up to 250kg) for as little as £189.90 ex VAT. For more information on pallet prices and dimensions, click her to get an instant quote. Orders must be placed before 11am when importing and exporting to Slovakia to qualify for quoted time scales. Standard delivery is typically 7 days. We are able to ship the majority of goods to and from the Slovak Republic, however there are some exclusions, these are listed below. Orders must be placed before 11am if importing or exporting to Slovakia to qualify for quoted time scales. Prices quoted are based on quarter size pallet with economy options selected. Delivery and collection prices subject to VAT.